It’s been an entire year since 2K last brought out a domineering basketball simulator, another year since since I played an outstanding story mode and another year since I played as my beloved team in franchise mode, soared my way through the playoffs and won the league. 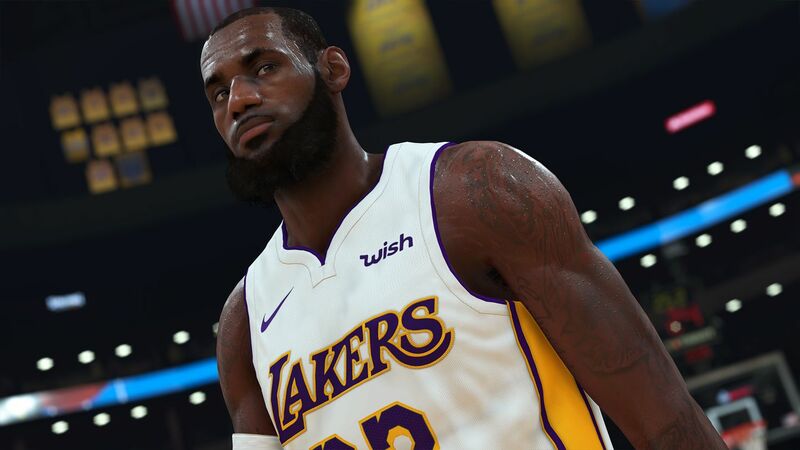 Now NBA 2K19 is finally here, I couldn’t wait to see how on earth they’ve managed to make the latest iteration even better. With every new release from 2K there is such a high level of expectation. We expect the fundamentals to be perfect, more realistic and believable every year, adding in new elements to make it seem like we’re watching a real game of basketball. We want our players to read the movement and make smart runs to reach the bucket. We want to see unique mannerisms from specific players, like when Tim Curry is about to take a free-throw, he half takes out his gum shield and chews on it. We want this to be a true representation of the world famous sport that we’ve come to know and love. But has NBA 2K19 delivered on all of these things? Absolutely it has. It’s like no other basketball game I’ve ever seen before. The fluidity of gameplay, the realness and even the fantastic pre and post-game shows with Shaq, Ernie Johnson Jr. and Charles Barkley. During every game there are the exact types of camera shots, transitions and half-time interviews you’d expect, as well as reporting from David Aldridge. It really is like we’re sat on our sofas watching a real game unfold. I can’t praise it enough. 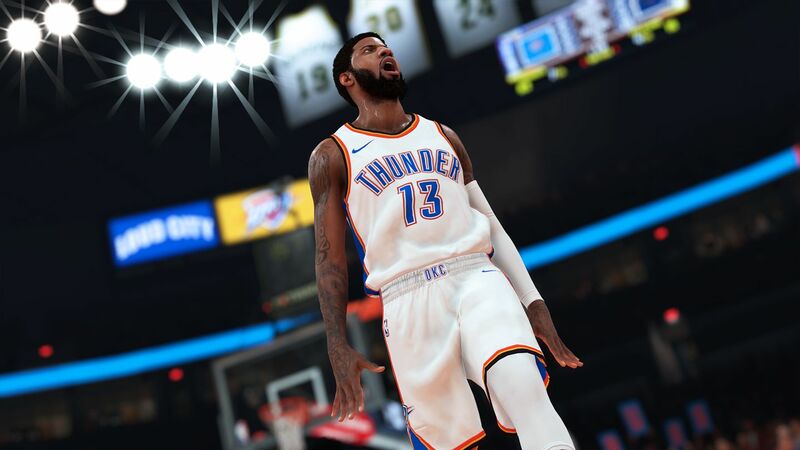 As there is with every 2K19 instalment there’s the addition of a Story Mode; this year’s centres around your player not being chosen during the NBA drafts. You have to play in the Chinese League, work your way up to the G-League and then eventually, the illustrious NBA. 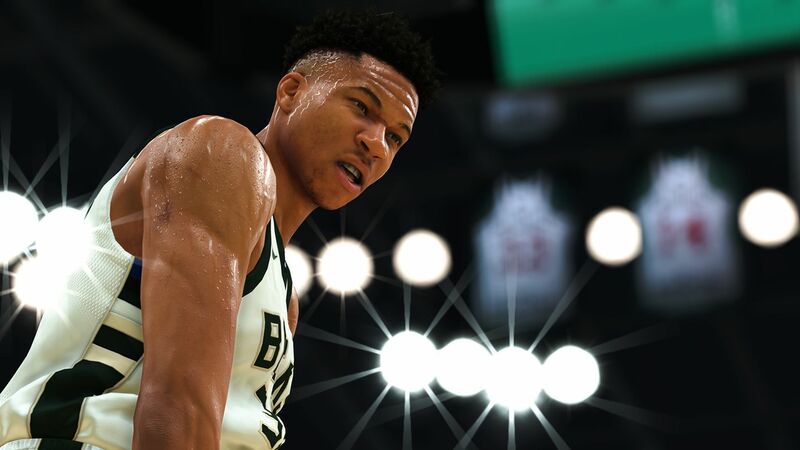 2K titles always deliver on their story modes with great features where you can edit and customise your player from the ground up, choosing their appearance and initial attributes. The more you play, the more skill points you earn to add onto your attributes as well as add to your chosen primary and secondary skills. Then, with each game you play, you get ranked (A+, A, B etc.) on how well you have performed and playing well only gets you more points to spend on skills to become EVEN better. This can get frustrating at times but the more you understand the fundamentals of playing as just one person, and not the whole team, the more drastic your improvement. As you’d expect, it’s a well choreographed and well put together tale, with great voice acting and a genuinely interesting story line. The writing itself isn’t exactly Oscar worthy, but the voice acting from big names including Aldis Hodge and Michael Rapaport is fantastic and ensures you get engrossed into the story-line. There are both some powerful and very funny moments found throughout, and whilst it’s not groundbreaking you definitely get to experience something new with this year’s story. One game mode I have a huge love/hate relationship with is MyTEAM. I absolutely love playing games with some of the best players in NBA history. I love having legends from the present time and from decades past playing on the same court, dominating the leagues, both on and offline, beating the challenges and making the ultimate team. I love the sheer variety of modes, styles of play and magnitude of customisation that is available, helping to ensure that we came on top game after game. I love how much longevity the game mode has and how, even after hours and hours of game time, there is still so much left to do. But what I hate, and I mean really, really hate, is how everything revolves around microtransactions. Why 2K, why?! You have to play to earn coins and unlock MyTEAM prize packs, which are randomly generated trading cards with a mixture of clothing, players, courts etc. which you can use within your custom team. With the 20th Anniversary Pack in tow, I started off with a lot of coins to spend on packs, allowing for a head start, but without that it’ll take a long time to grind away. The game purposefully takes you an age to get MT (MyTEAM) coins and even longer to get VC (virtual currency); chances are you’re going to be tempted to spend your hard earned real money so you get better, faster. I hate that 2K has done this again, it really is a shame, but if you can look past it, will find that it doesn’t ever completely ruin the experience. It sure taints the hell out of it though. 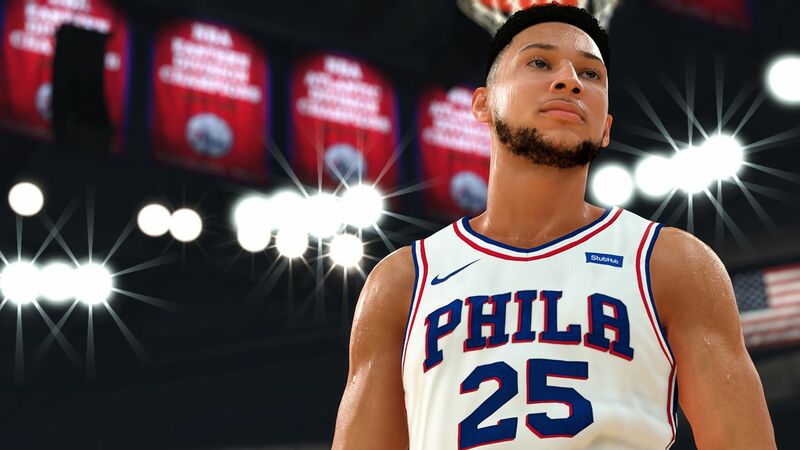 NBA 2K19 also includes a very thorough MyLEAGUE mode which lets you play as the manager in MyGM mode, taking control over every aspect of your team and watching as you try to take them all the way to the playoff finals in order to lift the trophy. You can play a single season with your favourite team or even fully customize your own playoff experience. MyLeague mode stands out here, allowing you to completely change how the league plays out, taking a current NBA team, including up to 8 expansion teams or even creating a brand new league with up to 36 teams, both current and historic, and expansion teams. The amount of sheer customisation this mode allows is mind blowing, and knowing that every experience will be so different means there can be many different outcomes and different play styles to get the coveted trophy. When you want a break from the league games and usual big crowds, you can always play a quick game of “Blacktop”, a really fun, fast-paced and over-the-top game of basketball. You can play 1v1, or take it all the way up to 5v5 games, with players you pick from any of the current NBA teams, meaning you can have a team with LeBron, Kyrie Irving, Joel Embiid and Russell Westbrook all in the same damn team. It’s a great distraction from the usually very serious games and adds that delightful bit of variety to an already spectacular experience. Finally and NBA 2K19 seems to have outdone itself with the sheer abundance of teams you can pick from when playing a game against the AI or against friends. There are the usual teams from the NBA league but every team also has at least one of their own “Classic NBA Teams”, which are famous line-ups through time. For example, you can play as the ’95-’96 Chicago Bulls with Jordan, Pippen and Rodman in the line-up. You can also play as each teams’ “All-Time NBA Team” which includes the best players of that specific team through history in one line up. It’s a fantastic addition to have been added by 2K, and allowing you to relive teams’ glory days is amazing. There’s so much choice and it delivers insight into the history each team has. NBA 2K19 is an absolute masterpiece of a basketball simulation. Everything seems real, from the way the players move and communicate on the court, the TV presentation and even the player mannerisms; it is just stunning. The abundance of customisation that is offered with almost every game mode makes for much replayability too and the only thing that lets it down are those damn microtransactions! But apart from that, I can really see why the 2K series has been the top basketball game for a while now and I don’t see it slipping into second spot any time soon.